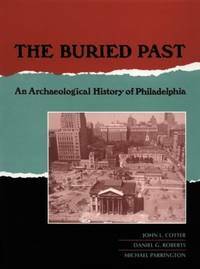 Philadelphia: Univ of Pennsylvania Press, 1994. 524pp. Illustrated. Second Printing. Hard Cover. Very Good/Very Good. 4to - over 9¾" - 12" tall. Chico, California: Scholarly Press, 1982. 404pp. Former owner's name/info is marked over with a black marker onthe front (half title) page. 1st Edition. Soft Cover. Very Good. 8vo - over 7¾" - 9¾" tall. Munich: Prestel Publishing, 2008. 399pp. Illustrated. First American Edition. Illustrated Hard Covers. Very Good/No Jacket. Illus. by Photography of the Artefacts By Christoph Gerigk. 4to - over 9¾" - 12" tall. U.S.A.: University Of Texas Press, 1970. 306pp. Illustrated. Former owner's name/info is marked over with a black marker on the front flyleaf. The dust jacket has wear and tears at edges. 1st Edition. Hard Cover. Very Good/Fair. 4to - over 9¾" - 12" tall. Washington D.C.: Smithsonian Institution, 1988. 45pp. Several stamps from Library of Congress are on the title and copyright pages. Soft Cover. Very Good. 4to - over 9¾" - 12" tall. U.S.A.: Royal Ontario Museum, 1990. 416pp. Illustrated. Loose maps are at the rear of the hardbound slipcase. 1st Edition. Soft Cover. Very Good. 4to - over 9¾" - 12" tall. U.S.A.: Royal Ontario Museum, 1979. 226pp. Illustrated. Includes maps laid in at the rear of hardcover slipcase. 1st Edition. Soft Cover. Very Good. 4to - over 9¾" - 12" tall. The Archaeology of Wessex An Account of Wessex Antiquities from Earliest Times..
London: Methuen & Company Limited, 1958. 384pp. Illustrated. Normal library markings. 1st Edition. Hard Cover. Good/Good. 8vo - over 7¾" - 9¾" tall. Ex-Library. Durham, North Carolina: The North Carolina Fossil Club, 1995. 70pp. Illustrated. Former owner's ink name is inside the front cover. Additional owner/info is marked over witha black marker on the front (title) page. 1st Edition. Soft Cover. Very Good. Illus. by John Timmerman: Illustrations. 8vo - over 7¾" - 9¾" tall. Jersey City, New Jersey, U.S.A.: Self Published, 1973. 64pp. Illustrated. Signed by the author at the top of the front (title) page. Also on that same page there is former owner's name/info that is marked over with a black marker. Signed by Author. 1st Edition. Soft Cover. Very Good. 8vo - over 7¾" - 9¾" tall. New York: Arch Cape Press, 1990. 495pp. Illustrated. Later Printing. Illustrated Hard Covers. Very Good/No Jacket. 4to - over 9¾" - 12" tall. 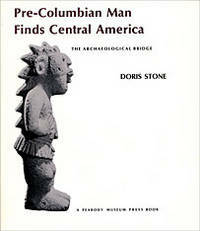 U.S.A.: Peabody Museum Press, 1972. 231pp. Illustrated. Former owner's bookplate is on the front flyleaf. Below the bookplate there is additional owner/info that is marked over with a black marker. 1st Edition. Hard Cover. Very Good/Good. 8vo - over 7¾" - 9¾" tall. 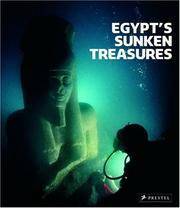 United Kingdom: Egypt Exploration Society, 1996. 308pp. Illustrated. 1st Edition. Illustrated Hard Covers. Very Good/No Jacket. Folio - over 12" - 15" tall. London: Methuen & Co. LTD, 1954. 330pp. Illustrated. Former owner's name/info is marked over with a black marker on the front flyleaf. Second Edition. Hard Cover. Very Good/Very Good. 8vo - over 7¾" - 9¾" tall. New York: Frederick Ungar Publishing Co. 119pp. Illustrated in black and white photos. Date is not listed (1957?). Hard Cover. Very Good/Good. 4to - over 9¾" - 12" tall. London: Phoenix House LTD, 1957. 223pp. Illustrated. Foxing at the fore edge. Former owner's name/info is marked over with a black marker on the front flyleaf. Edge wear to the dust jacket. 1st Edition. Hard Cover. Very Good/Good. 8vo - over 7¾" - 9¾" tall. Taunton: Barnicott and Pearce, The Wessex Press, 1922. 127pp. Illustrated. Normal library markings. Hard Cover. Good/No Jacket. 8vo - over 7¾" - 9¾" tall. Ex-Library. Baton Rouge: Louisiana State University Press, 1966. 69pp. Normal library markings. 1st Edition. Hard Cover. Good/No Jacket. 8vo - over 7¾" - 9¾" tall. Ex-Library.